Music is a part of you. 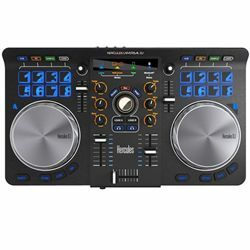 So turn your passion into a perfect mix with the ideal ecosystem for all connected DJs: the Hercules Universal DJ controller. Thanks to built-in Bluetooth® wireless technology, you can even mix using your smartphone or tablet. Your adventure starts right here and now: say hello to total freedom, with no constraints.